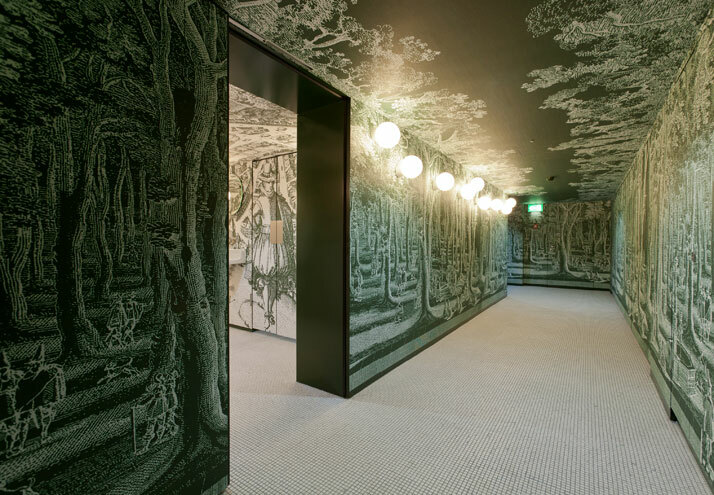 Swiss architects Herzog & de Meuron recently completed the restoration and redesign of a classic 1925 building in the heart of Basel, Switzerland. 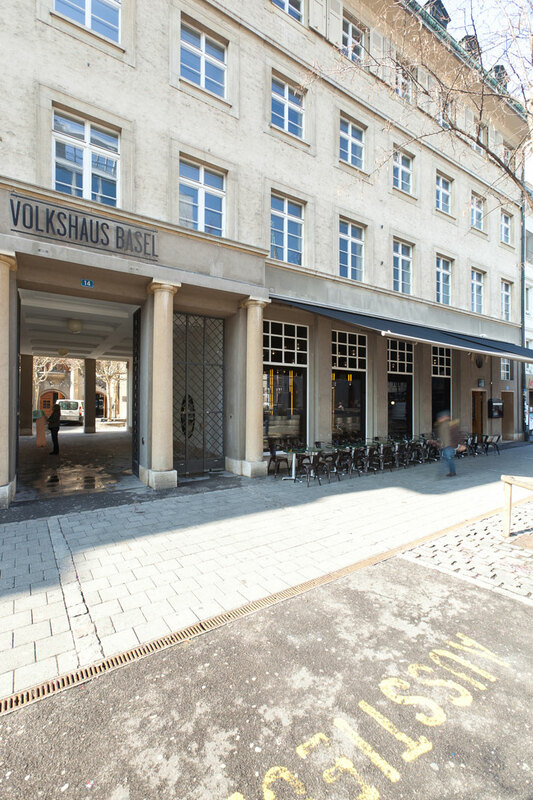 The Volkshaus, a former concert hall, now includes a food and beverage venue which includes a bar-brasserie. The concert hall will continue operating - to be joined by the new program which includes various sized halls, a club, a ballroom, conference rooms, and offices, all within a hotel. WeAreContent developed the new concept for that traditional venue and collaborated with the world-renowned architecture firm Herzog & de Meuron. 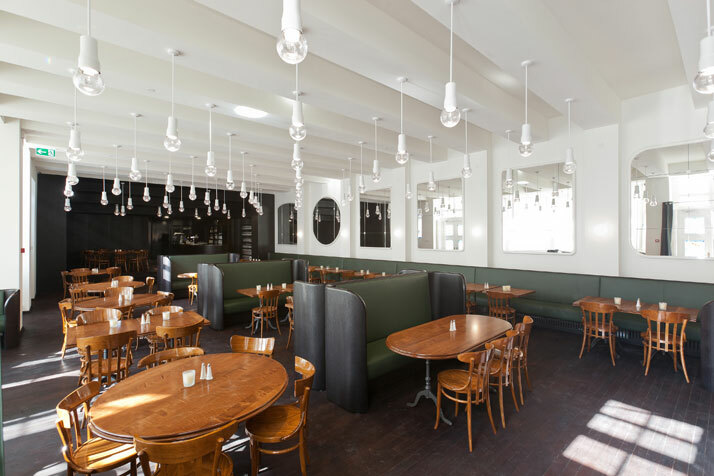 The architects went to great lengths to restore the former magnificence and grandeur of the space, which had been somewhat aesthetically challenged during a late 1970s renovation. In order to achieve this, the building was stripped back to its original frame by removing all the built-in additions and cladding that had been applied. photo © Adriano Biondo for Volkshaus Basel. Ceilings were restored to their original height while preserving as much of the original detailing as possible. Whenever this was not feasible or reasonable, the architects worked with the current status. Original plans and visual materials provided a reference in identifying the original character of the architecture and defining elements of the interiors. 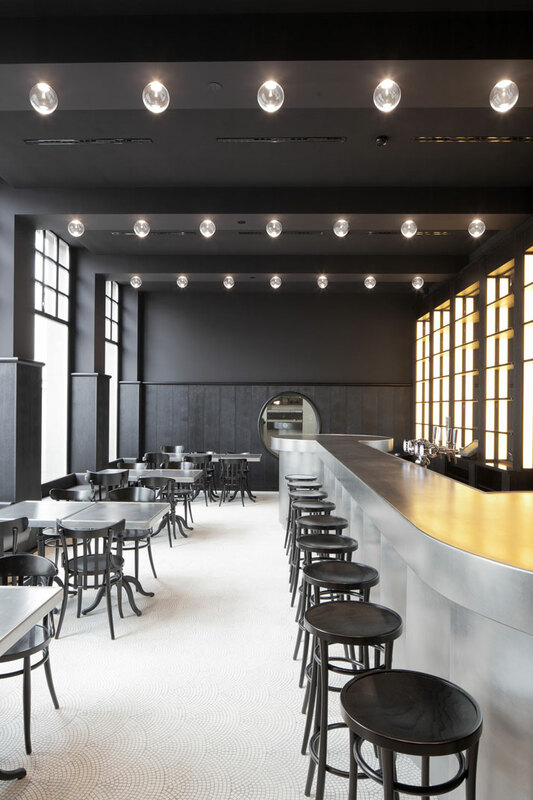 In a very successful attempt to capture Old World glamour, Herzog & de Meuron utilized an achromatic, black and white palette for the distinctly contemporary décor scheme. 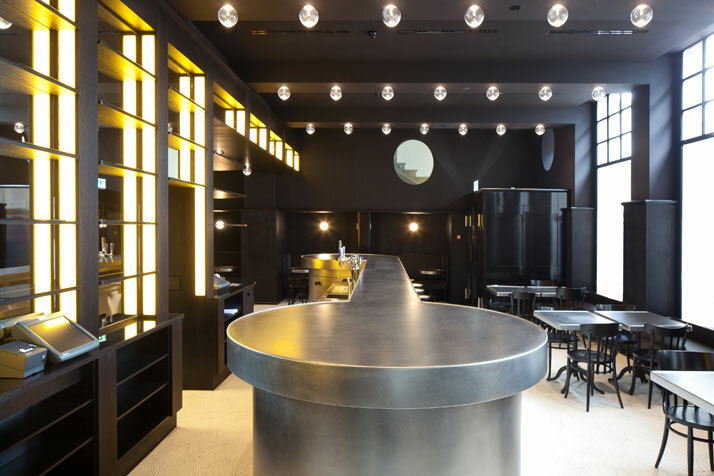 With the application of quality materials, such as tin, leather and wood, which are sure to acquire a worn patina through years of use, the architects have enhanced the project’s Old World glamour design concept. 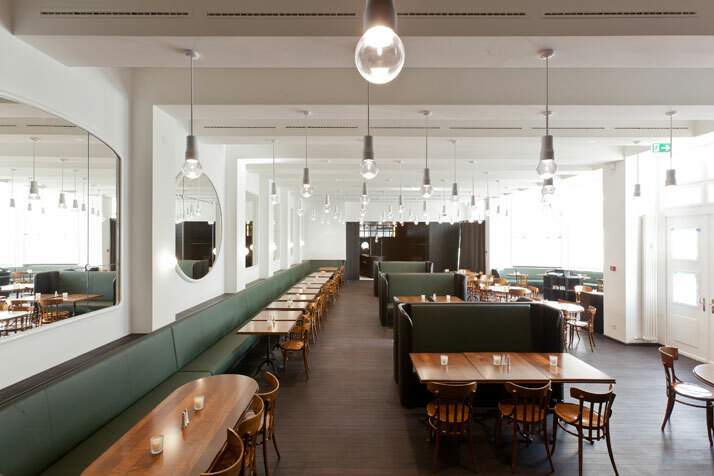 Further design elements include the high-back banquette seating provided to subdivide the brasserie into zones, as all partitions have been removed. 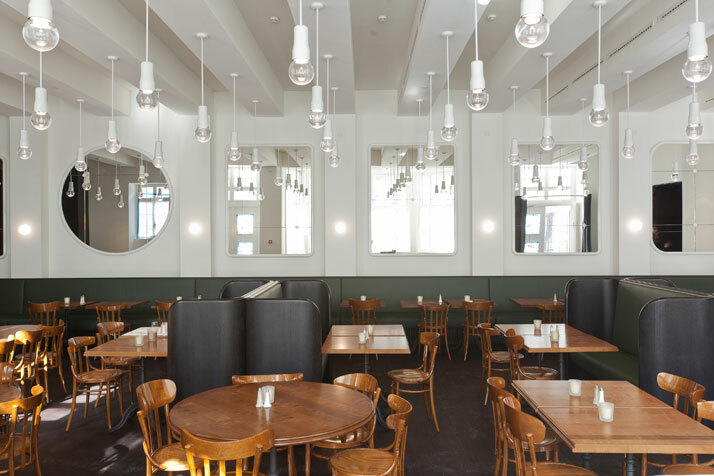 LED lamps with thick, mouth-blown glass diffusers provide contemporary pendant lighting and recall historical chandeliers. 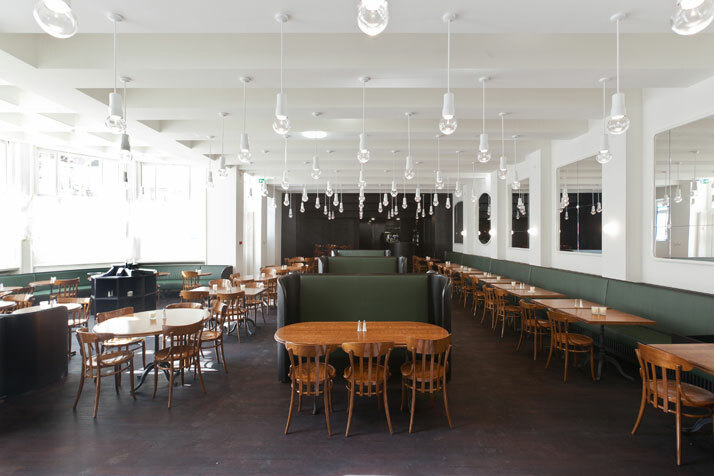 New seating was designed based on the original Volkshaus chair with a variety of chair back options, while other prominent architectural elements have been reiterated in various scales and articulations. 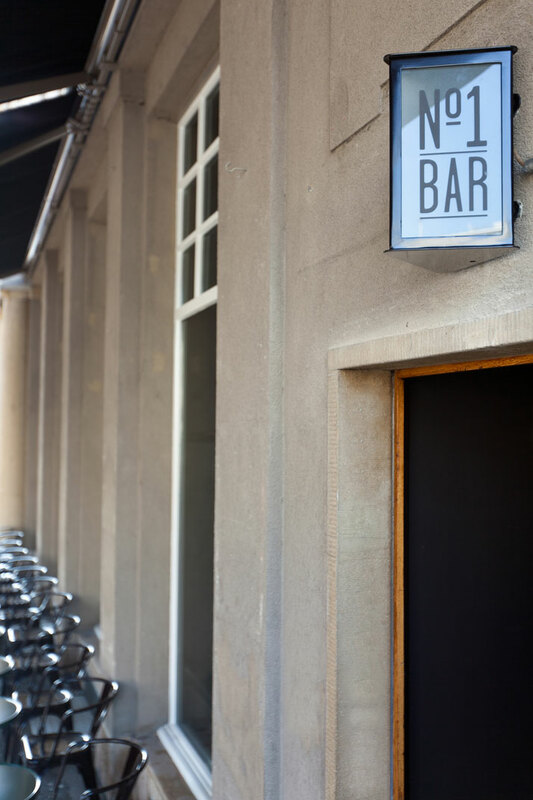 An oval window above the entry resonates the window to the public passage and leads to the inner courtyard, in the swinging door between the bar and the brasserie, in an opening that reveals the historical staircase and in the mirrors of the restrooms. 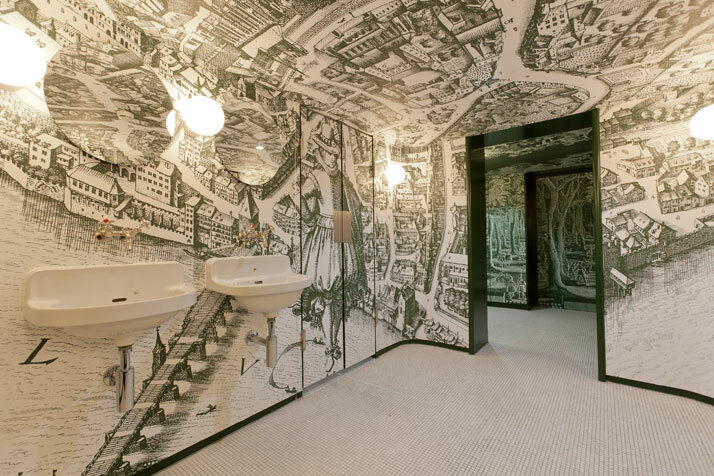 Sinks from Basel’s building component exchange are found in the restrooms; while 17th century etchings have been transferred to the wallpaper which lines the restroom vestibules. As the Volkshaus cultural venue’s ongoing phased renovation continues, we look forward to discovering more of its artfully designed and reconstructed interiors which pay homage to Old World glamour.